1. 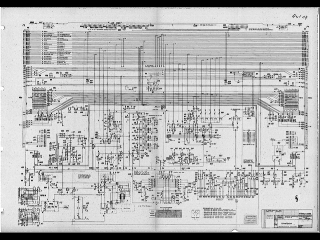 Southern Pacific electrical diagrams. We have diagrams published by Krauss Maffei in Volume 4 of the service manual but they are extremely basic. We have no reference for the myriad of terminal boards within the cab but know that they had to be documented somewhere. SP produced their own high quality drawings and we hope that some still exist. Copies would be fine. 2. Hartman and Braun temperature gauges. The locomotive had 10 of them, all alike. They measure about 3 1/8" diameter at the body and read from 32 to 260 degrees F.
3. 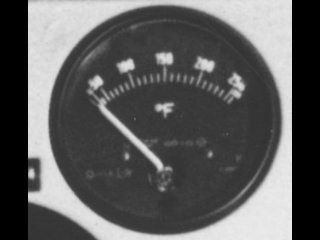 Barco repeating speedometer. 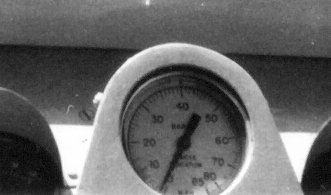 This is an electrical driven speedometer having a body diameter of about 3 1/8" in diameter with a white face, reading from 0 to 85 mph. 4. 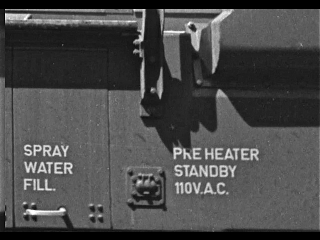 Equipment Trust Plate. Thanks to the kind loan of an original trust plate from which we made a mold and the generous casting of new plates, we have what amounts to a brand new pair of original plates. 5. 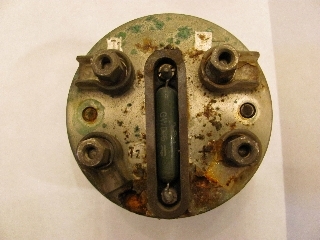 Battery Charging Receptacles. Thanks to generous donations from two of our brother museums, we now have replacements for the two missing Battery Charging Receptacles. 6. There is one Standby Receptacle for 110V power to the cooling water preheater, just below the L3 sandbox on the Fireman's side. 7. Window Regulator: Thanks to Richard Oed finding a regulator for us in Germany and our machinist Bill Stimmerman's modifications, we now have a replacement for the missing regulator.